If not for the old-school gem Campagnola, WSWD's Ally Schenker may never have been born. Which would mean more fried zucchini for the rest of us! Normally I’m not one to believe in romantic clichés like “everything happens for a reason” or something as capricious as fate. But thinking about my parents’ love story always takes the edge off my cynicism. In the late 1980s, my mom, 23 years old and “right off the boat,” as my dad likes to say, from Longmeadow, Massachusetts, often worked out at the gym next to a woman named Juliette. My dad happened to be dating Juliette’s roommate. After they split, Juliette introduced my mom to my dad, thinking they’d hit it off (girl codes were different back then). She saw my mom was easygoing and thought she might be able to handle my dad’s…let’s call it rambunctiousness. 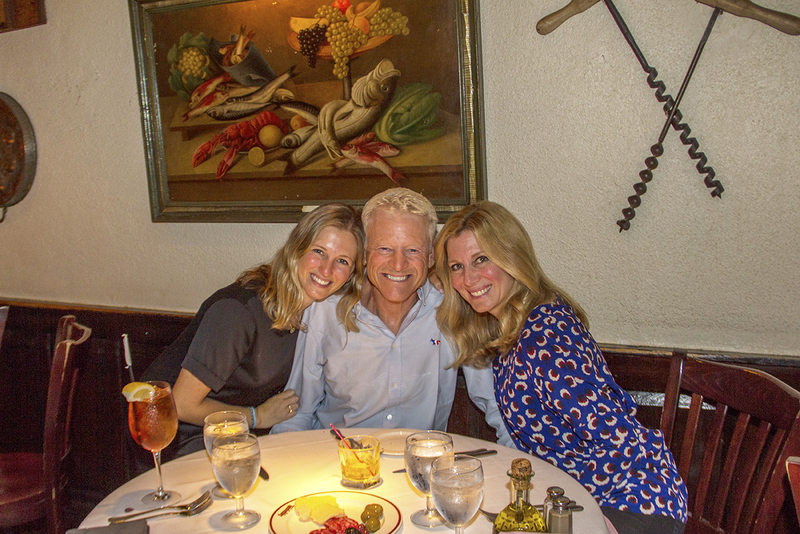 Campagnola was my dad’s date spot. He even had a signal with his favorite waiter, Frankie, if the date was going poorly, so he could be rushed out of there in under 20 minutes. In those instances, Dad would hold one arm by his side and circle his pointer finger, as if performing a subtle yo-yo trick. Despite his frequency at Campies, and my mom’s apartment only being a few blocks away, on the night of their first date, Dad somehow got lost on the way. He claimed to have been so flustered by my mom that he lost all sense of direction. And somehow, my dad’s sartorial choice of a bright pink shirt and wrinkled khakis didn’t send her running. That night, there was no need for Dad’s secret signal. The truth is my parents hit it off right away, bonding over being only children, their familial roots in Vienna, and their dads’ work in the paper industry. But the best part for both of them was simple: They made each other laugh. In the middle of their spaghetti course, my dad held out his finger to my mom and said: “Pull it.” Yup, you know how that joke ends. Luckily, back then, my mom did not. Later that night, my mom called her mom and noted that “his legs were skinnier than hers,” and “he smoked like a fiend”—but she knew she would marry him. They shared a bottle of red, the antipasti platter, spaghetti pomodoro, and a heaping desert plate (not that different from our family’s 2018 order; more on that soon). They sat at the bar for hours after dinner, chatting over drinks and enjoying the pianist’s music. Later that night, my mom called her mom and noted that “his legs were skinnier than hers,” and “he smoked like a fiend”—but she knew she would marry him. These days, my family will make up any excuse to go to Campies. Leaving for sleepaway camp? 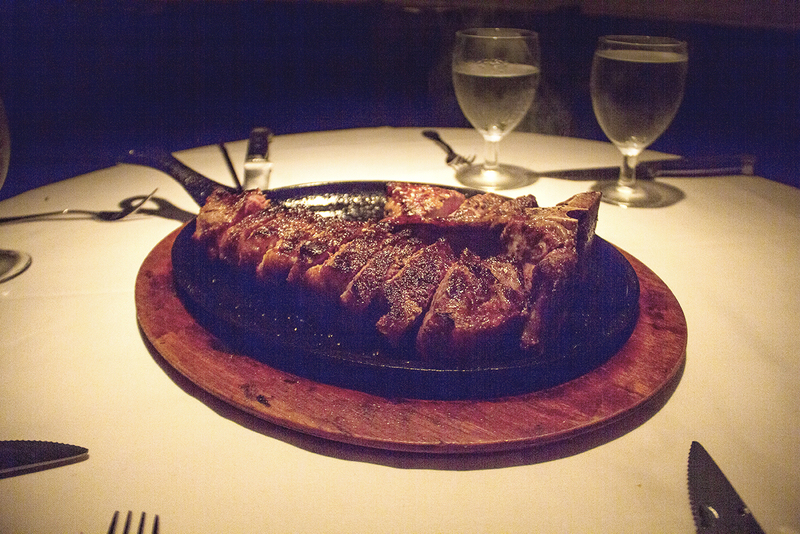 Nothing will hold you over better before a summer of hot dogs and overcooked mac and cheese than the steak for two! Have a job interview? Take your pick from the extensive Italian wine selection to calm your nerves. Yom Kippur fasting is done? You deserve nothing more than Campagnola’s al dente spaghetti pomodoro and perfectly fluffy yet crispy napoleon. Campagnola hasn’t changed much since my dad’s glory days there, despite a few turnovers in management. A skilled pianist still greets you at the door. 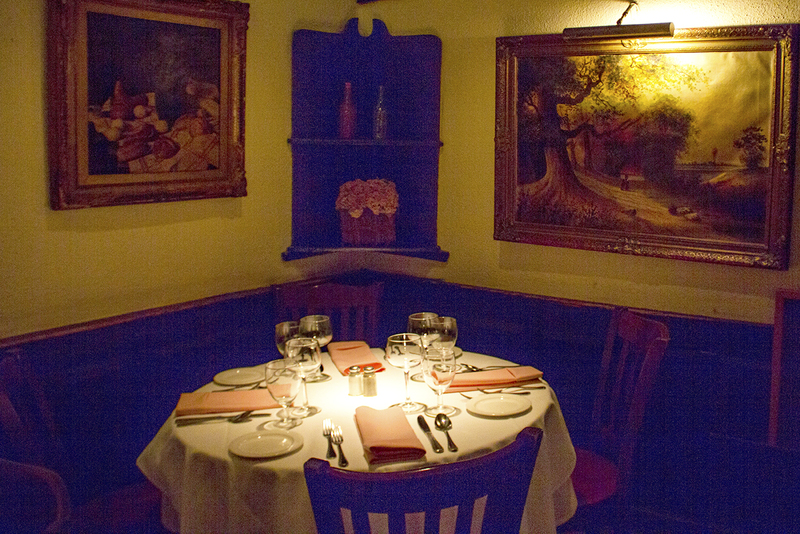 The same old Italian paintings and bronzed pots line the walls. The round tables are covered in white tablecloths and salmon pink napkins. Celebrities and Upper East Side locals sit elbow to elbow with huge tables of guys you will swear were in Goodfellas dining with their wives and girlfriends. 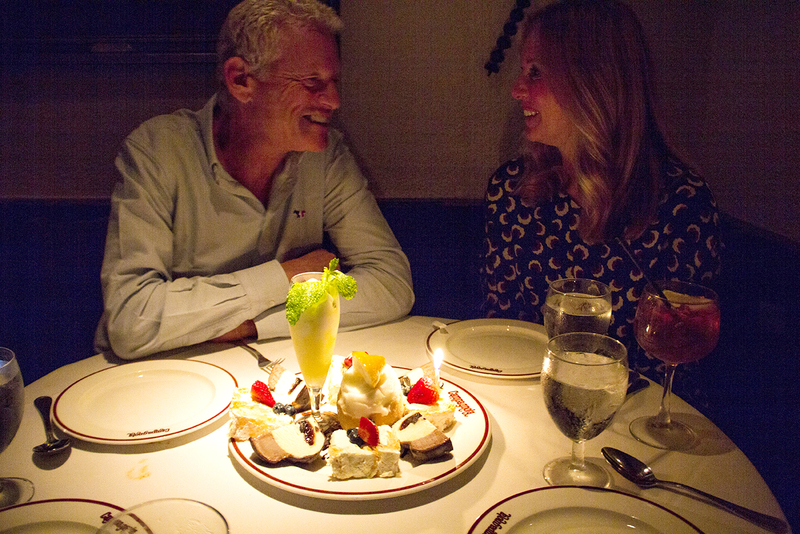 More than 30 years since the restaurant first opened its doors, the vibe remains the same. And Frankie? He never left either. The key to fitting in there is never asking for a menu. All the regulars know what they want and the chefs do, too. 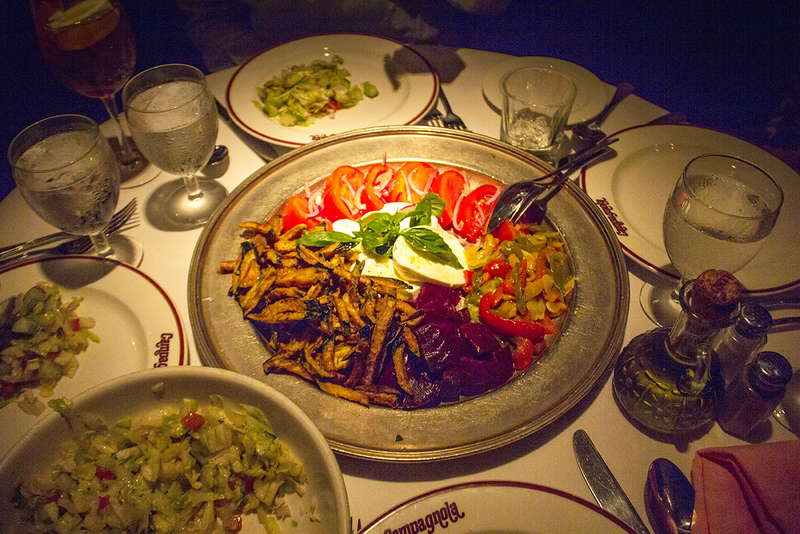 When we arrive at Campies, Frankie brings us to our table already brimming with grilled vegetables, marinated beets, juicy buffalo mozzarella, chunks of Parmigiano Reggiano cheese, fried zucchini, and a finely chopped chef’s salad. Unfortunately for my arteries’ sake, my favorite thing here is the fried zucchini. It is lightly breaded and crispy, with a bit of a lemony twang. I could seriously eat a bucket of those babies. Next we get our sizzling steak and lamb chop platter served on black cast iron that comes with steakhouse sides like hash browns and creamed spinach. I always quickly take my steak off the heat, as I like my meat to be mooing. Is there anything better in the world than the combo of a rare-ish strip paired with buttery, creamy spinach. (Hint: nope.) On nights when I have room—which, let’s face it, is most nights—I have no choice but to go for an additional order of either shrimp scampi over linguini or a simple spaghetti pomodoro with melted mozzarella. 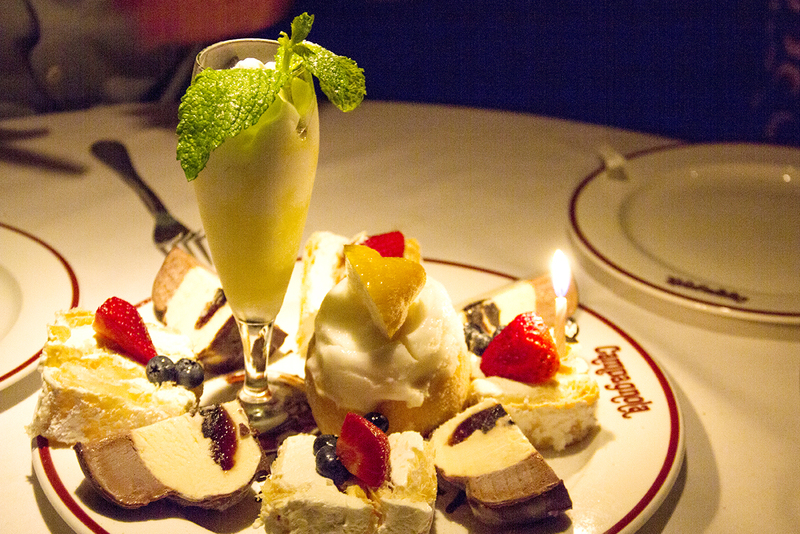 Our family’s meal almost always ends with the epic dessert platter, piled high with gelato, tartufo, fresh fruit, and napoleons. Campagnola may not be the best Italian restaurant in NYC. But for the Schenkers, Campies is and always will be our most special place. In fact, my parents celebrated their 28th wedding anniversary there earlier this week.